Argentina's government wants construction of the country's first LNG liquefaction terminal to start in the second half of 2019, making it possible to export an increasing surplus of production from the giant Vaca Muerta shale play, an official said Thursday. "We are confident that the decision to push the button on this project will come after the next presidential election in October 2019," Daniel Dreizzen, the country's secretary of energy planning, said at a Moody's finance seminar in Buenos Aires. He said companies have brought forward proposals for building the terminal, which will be evaluated. 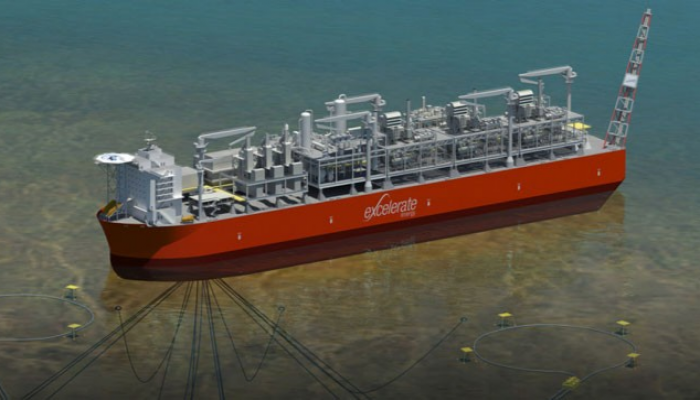 Earlier this month, the country's biggest gas transporter, Transportadora de Gas del Sur (TGS), and Texas-based Excelerate Energy, which operates two floating LNG import terminals in Argentina, agreed to study the possibility of a liquefaction project in Buenos Aires province. They said they would present the proposal to the government by the end of this year for evaluation. But if no company is ready to advance by next year, Dreizzen said the government will hold an auction to find a builder and operator of the project. The terminal will have six trains for exporting supplies and should start operations by 2023, with the capacity to ship an initial 40 million cu m/d from Vaca Muerta, Dreizzen told S&P Global Platts on the sidelines of the event. The likely spot for the terminal will be in Bahia Blanca, a deep-water port in southern Buenos Aires province, where it will be fed with gas from Vaca Muerta in the southwestern Neuquen Basin, he added. The gas for export will be delivered over a dedicated pipeline under a contract that guarantees it can't be redirected to meet domestic demand, providing more confidence about the supply stability for the project's investors, Dreizzen said. In the mid- to late 2000s, Argentina reneged on its gas export contracts with Brazil, Chile and Uruguay to meet domestic demand as dwindling production led to shortages. Now with the incipient development of Vaca Muerta, one of the world's largest shale plays, shortages are becoming a thing of the past, Dreizzen said. Indeed, his department forecasts that Vaca Muerta will lead a tripling of the country's total gas output to 400 million cu m/d in 2030 from 132 million cu m/d this year, well above the current average demand of 140 million cu m/d. This will allow gas exports to reach 180 million cu m/d in 2025, with 60 million going to Brazil and Chile and the remaining 120 million to the global market as LNG, according to the forecast. The growth in production will also make it possible to phase out LNG imports, which were at around 13.1 million cu m/d in 2017, by 2023 and then those from Bolivia by 2026, which averaged 18.8 million cu m/d in 2017, according to Energy Secretariat data. "We have a unique opportunity," Dreizzen said. "We are becoming a country that will provide energy to the world."